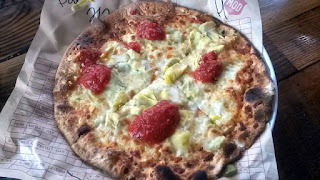 Mod Pizza has many locations throughout the United States. 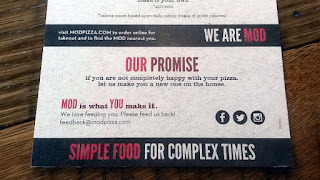 This blog post covers the spot on Commercial Street SE in Salem, Oregon. 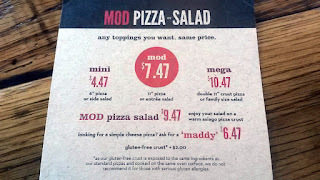 As advertised, Mod Pizza is a simple menu with endless options. The concept is mostly around being able to make whatever pizza you want. 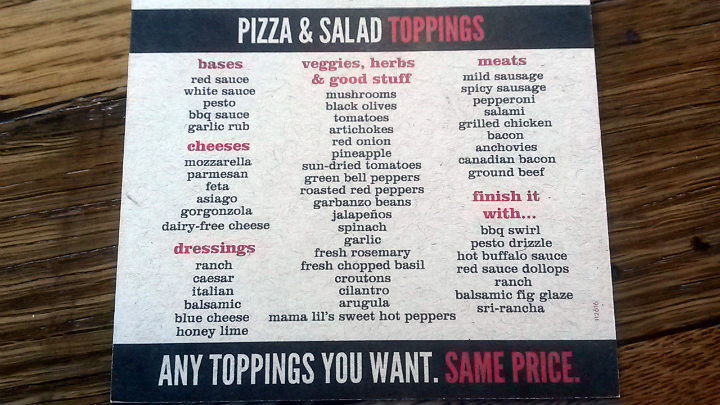 With five base sauces, six cheeses, eight meats, 20 veggies, and seven sauce toppings, you're looking at a bazillion combinations. 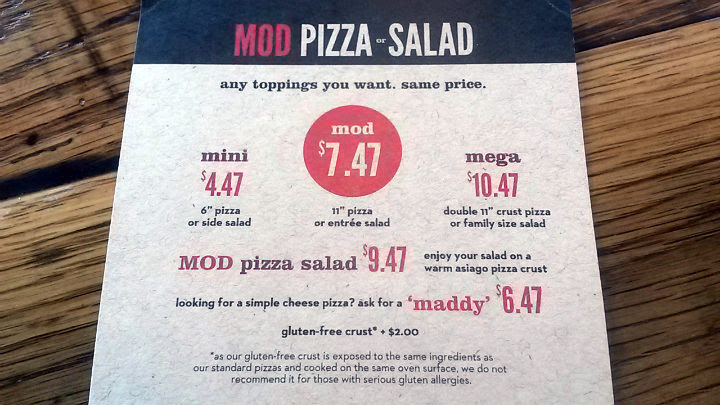 On top of that, there are three pizza sizes: Mini ($4.47), Mod ($7.47), and Mega ($10.47). The mega size is a double-crusted Mod for more carbs. 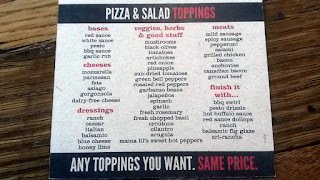 The price otherwise stays the same no matter how many toppings you put on it. 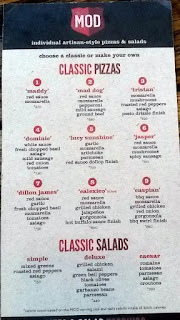 If you're not in the mood to do any thinking, there are 10 set options already posted. This time, I didn't want to do any thinking, so I got the Lucy Sunshine in the Mod size. The Lucy Sunshine contains a garlic base, mozzarella, artichoke hearts, parmesan, and a red sauce dollop finish. The pizza is put in the oven for a few minutes and cut into four slices. 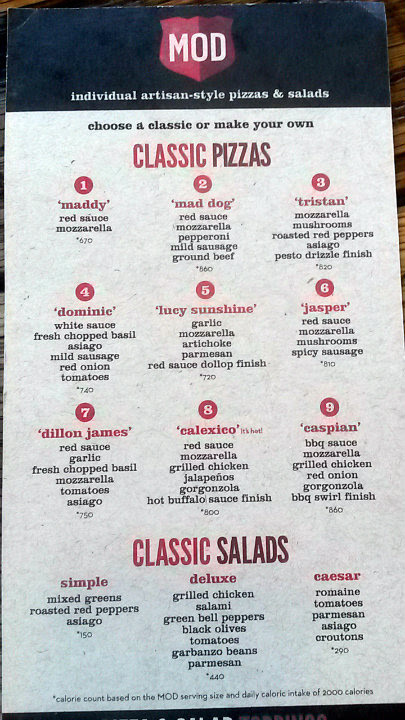 Overall, a good pizza. 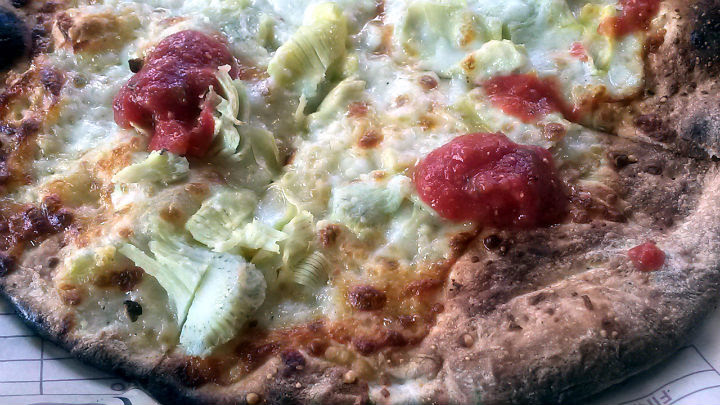 The crust was quite crispy, yet fairly doughy. 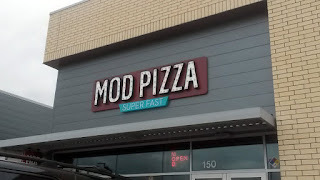 It's clear to me that this crust was meant for withstanding a crapton of toppings in the event people wanted to go for broke in that situation. As far as the Lucy Sunshine goes, I could taste and enjoy every topping, so it was successful in that regard.